I have recommended other business writing books in WORDS ON THE LINE, such as The Business Writer's Handbook, Science and Technical Writing: A Manual of Style, The Art of Styling Sentences, and Artful Sentences: Syntax as Style, among others. 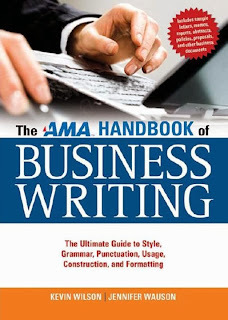 I add The AMA Handbook of Business Writing to the list because it works well whether you want to read about theory or practice and whether you want to quickly look up the difference between a comma and a semicolon or delve into the technicalities of the writing process in the workplace. The authors have chosen a practical three-part structure for this 637-page book. The first 30 pages, on the writing process, cover the step-by-step approach to composing challenging on-the-job documents for the writing student. The next 400 pages, titled "The Business Writer's Alphabetical Reference," copy the dictionary-entry format that has made The Business Writer's Handbook by Gerald J. Alred, Charles T. Brusaw, and Walter E. Oliu so successful in its tenth edition more than 30 years after its first. Hundreds of entries appear, covering parts of speech, parts of sentences, punctuation marks, idiomatic expressions, commonly confused words, and technology considerations, among many other points of interest to business and technical writers. The final 200 pages offer 100 sample business documents for those who want models to follow as they compose their first work-related messages. Whether you bookshelf or e-bookmark this handbook, you will find it helpful as an easy reference or an in-depth read. Are you having trouble getting started as a writer? Enough has appeared in print, notably Mihaly Csikszentmihaly's Creativity: Flow and the Psychology of Discovery and Invention, to show the link between creativity and the ability (or, I should say, inclination) to make connections between people, places, things, or ideas that the average person overlooks. Most creative geniuses will find ideas anywhere for the subject of their next design, drawing, painting, song, dance, poem, play, story, or essay. Here's a suggestion for the next time you feel stuck when writing: Just do something unusual. Break the routine. For instance, get off the subway a stop before your destination and walk the rest of the way. Or leave the house for work five minutes earlier than you normally do and drive the local route. Or food-shop at an offbeat time and pass the aisles you generally avoid. Or visit a new website that someone recommended and you've been meaning to check out. In any of these scenarios, focus on your specific subject of creation. It doesn't matter whether the topic is a charcoal drawing about the eighteenth-century slave trade in the Caribbean, a protest song about the recent Congressional deadlock, a modern dance about the drudgery of contemporary life, or an article imagining the uses of technology on elementary education in the next decade. Look for connections between what you are experiencing and your topic. The darkened street that you are walking down may suggest how the lack of electrical power in the eighteenth century required the need for slaves to hold torches for other slaves laboring in fields at night for your drawing on the Caribbean slave trade. Or the overflowing refuse beside the trashcan that you see during your local drive may summon an idea about how government services are declining for your protest song about Congress. Or the repetitive motion of a janitor waxing the supermarket floor may conjure up a unique movement for your dance. Or a photo on the website of a mail carrier lugging a half-empty sack may make you think about how the post office and education-related businesses have lost so much business to the Internet for your piece about technology and education. Be sure to write down those thoughts so that you don't forget them when you return to your easel, keyboard, studio, or desk. 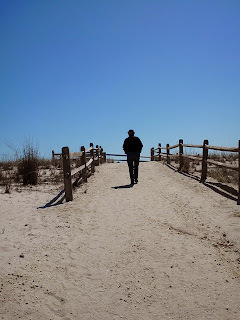 As I said before in this blog, ideas are everywhere. It's up to you to grab them and take them somewhere. 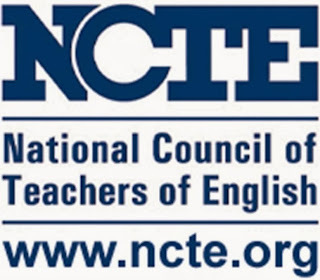 This last post in a 10-part series about writing tips from the National Council of Teachers of English (NCTE) nicely summarizes the previous 9 parts. It urges writers to write a lot, read a lot, write about what they know, revise, share writing, get organized, and more. All 10 of these one-page tip sheets succinctly and memorably describe key writing issues with authority. They are worth saving for reference when you need them. All the best with your writing! Write for different audiences to better understand their contrasting concerns and to improve your overall command of topic. Start always with praise when criticizing writing. Read and write to sharpen your writing skills. Use all the steps of the writing process (planning, drafting, revising, editing, and proofreading) to strengthen your message. This tip sheet from the NCTE focuses on writers who are interested in sharing a piece of their writing for National Gallery of Writing as part of the NCTE-sponsored National Day of Writing. This thoughtful effort is great idea for encouraging aspiring writers to produce a composition for an online archive. Writing ideas are everywhere: in your complaint letter to the credit card company, in your email explaining an unusual experience to a friend, in your conversation with a coworker about your last vacation, and in even your walk to the office. If you think it's a good enough piece of writing for you to save, then it's good enough for you to perfect and to share with the world. Sharing your writing with others gives deep insights not only into the quality of your writing but into the kind of person you want others to see in you.